My involvement with the Bass Connections program very early on in my undergraduate journey helped to establish a network of support during my time at Duke. After taking a gap year, I entered my freshman year at Duke with a deep interest in cognition, perception, and art. Independently scouring through writings by scientists and artists, I found there to be a natural space of interdisciplinarity. So as plans to design my own major at the intersection of science and art began to concretize, rather serendipitously, the “Art, Vision, and the Brain” Bass Connections team announced openings for its inaugural year. The project had a clear purpose: to explore concepts of color and brightness and present them to a larger public. This involved curating an exhibition at the Nasher Museum of Art using works from their permanent collection. Additionally, a symposium placing artists and neuroscientists in dialogue with one another complemented the exhibition. Now, as I reflect on my time at Duke, it is quite clear that the everlasting impact of this program went deeper than these deliverables. 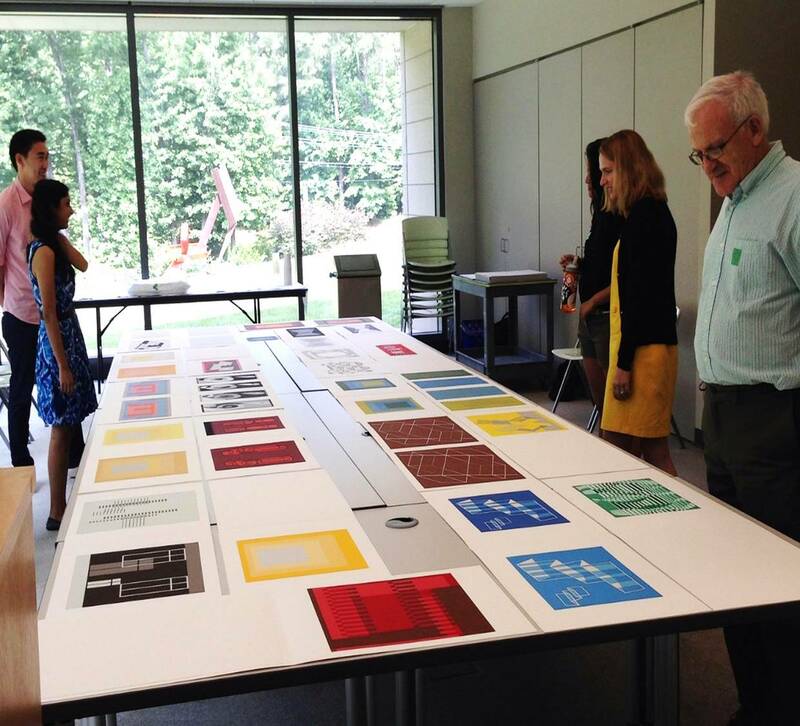 “Art, Vision, and the Brain: An Exploration of Color and Brightness” commenced with a 10-week summer component where my project team spent almost every day together. We learned to look together as we spent endless hours spent pouring through the works both on the walls and in storage at the Nasher Museum. One of my most memorable moments involved a visit to Nasher’s storage to view screenprints pulled from Richard Anuskiewicz’s Spectral Cadmium portfolio. While I had seen thumbnail images of his prints, nothing prepared me for the experience of being surrounded by his dizzying, equiluminant works in-person. The museum became a laboratory as we went one step forward by non-invasively ‘experimenting’ on the prints with a spectroradiometer. This was not, of course, a unique occurrence. Meeting after meeting, I found myself approaching and re-approaching art in new ways – re-examining works I had seen before through a new lens I developed with this team. Slowly, our conversations in front of these works evolved to a point where the neuroscience of perception and the analysis of the art itself were no longer separate discussions. Eventually, this group of individuals from biology, neuroscience, ophthalmology, art history, and biomedical engineering began to develop a common vocabulary, and reached a point where the disciplines once thought to be disparate could be discussed rather seamlessly. It was not lost on me that such rich, interdisciplinary conversations at the undergraduate level were quite rare. Moreover, our team sought to improve that through public-facing interventions. 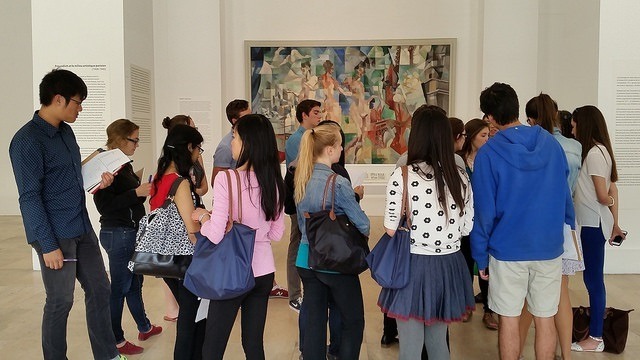 Ultimately, through the Nasher exhibition and the symposium, we shared our findings outside of our team meetings. Interestingly enough, in the midst of our journey together as a team, we were hit with the fallout of ‘The Dress.’ The viral image brought our conversation about color perception and brightness out ‘into the wild’ a bit earlier than expected. This engagement with the public, and seeing them go through the initial shock and frustration of realizing the instability of color reinvigorated my passion for the subject. Towards the end of our project, my experience with this team helped to complete my Program II application in Cognitive Aesthetics. Not only that, but the summer after declaring my major, I joined two of my project leaders in Paris, as a student in Duke’s Neurohumanities in Parisprogram. After reading about the equiluminance present in Monet’s painting of a poppy field, nothing compared to seeing it in person at Musee d’Orsay. Of course, it doesn’t end there! While looking at art for hours on end was a huge positive, building a bond with the faculty who worked on this project remains the best part about “Art, Vision, and the Brain”. There existed an unparalleled level of encouragement and guidance. This involvement with the Bass Connections program very early on in my undergraduate journey helped to establish a network of support during my time at Duke. I applied to the Mellon Mays Undergraduate Fellowship at the urging of my project leaders, and received funding and additional guidance to research this topic further during my junior and senior year. 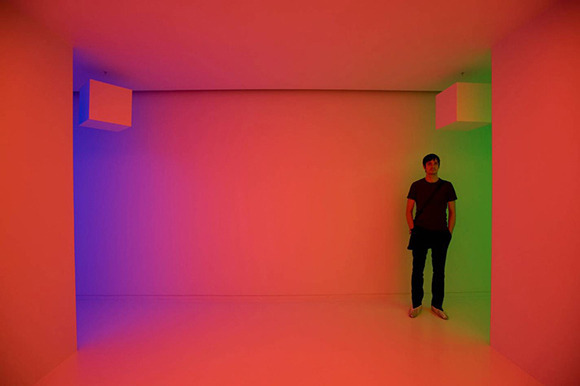 In fact, my experience with the disorientation induced by the Anuszkiewicz prints expanded into a distinction thesis on the topic as it relates to an immersive light installation by Carlos Cruz-Diez. And finally, in March of this year, I was accepted to my dream graduate program. In the fall, I will continue to study this interstitial space between visual art and neuroscience as a PhD student in the history, theory, and criticism of art at MIT. In fact, my advisor will be someone whose work I began to read during the summer of my Bass Connections experience. So, while I have tried my best to write this reflection in a chronological manner, it is hard to think about this pathway as a straight, linear trajectory when everything branches out of, and continually references, Bass Connections. Time and time again, “Art, Vision, and the Brain” remains at the crux of my Duke story – at the center of a web of experiences that will continue to grow beyond graduation.